For Every Child, AN ADVOCATE You will be responsible for developing, implementing & monitoring communications & public advocacy strategies & related activities to improve the rights, survival, & wellbeing of the most disadvantaged children. How can you make a difference? 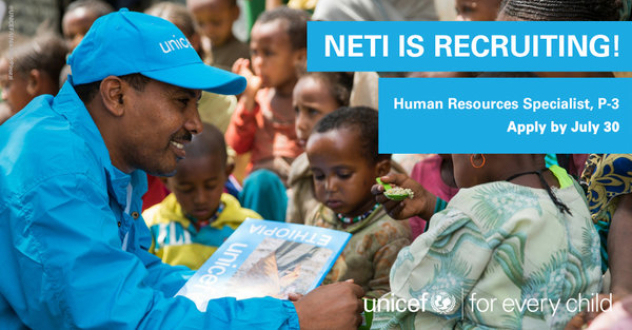 As NETI HR Professional, you will partner closely with HR practitioners and line managers and share ownership and accountability for people management to ultimately deliver better results for children. Depending on the organizational set-up of the office, you will either specialize in a defined area of HR management at Headquarter or regional level. 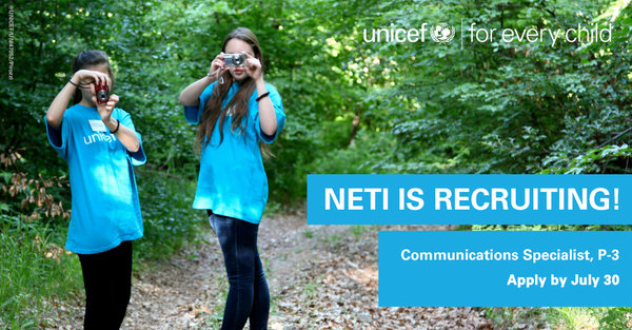 For more information on how to apply, please visit our UNICEF hub.